The main characters are Greg, Rodrick, Manny, Mum, Dad and Rowley. The winter holidays start. But it didn’t go well. When a blizzard hits Greg and his family have to stay inside the house for a long time without much food. This book is about the things that happen in the house during the blizzard. 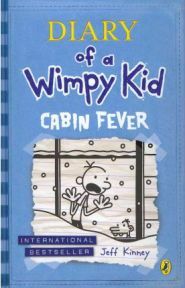 I like best the bit where Greg and his best friend, Rowley, make a newspaper.